Our initial community, Thompson Place, contains fourteen lots in Patton Township. The opportunity to develop decent, affordable workforce housing arose when a mobile home park located on the site was slated for closure. Through a cooperative partnership between Habitat for Humanity of Greater Centre County (HFHGCC), CCHLT, Patton Township, and the original landowner (who wanted to develop the site commercially), an agreement was reached to build housing on the site of the former mobile home park. The Thompson Place community was named in honor of Moses Thompson, who owned the property in the 1840s. Thompson Place was completed in 2016 when CCHLT constructed two new single-family homes on the last vacant lots. 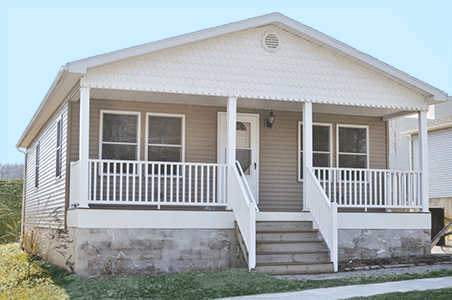 The community consists of nine single-family homes, two duplexes and one mobile home, all permanently affordable through CCHLT.